Wilson co-wrote, arranged, produced, and performed about 30 Top-40 songs with The Beach Boys that included the hits “Fun, Fun, Fun,” “I Get Around,” “Surfer Girl,” “Wouldn’t it Be Nice,” “California Girls,” and “Good Vibrations.” Within the band, Wilson played bass and keyboards, providing vocals and harmonizing in falsetto with the group. In 1988, Wilson and his band mates were inducted into the Rock and Roll Hall of Fame and he won a Grammy Award in 2005 for “Mrs. O’Leary’s Cow (Fire)” as Best Rock Instrumental. Rolling Stone magazine published a list of the “100 Greatest Singers of All Time” in 2008 and ranked Wilson number 52. Wilson suffered a nervous breakdown in 1964 and decided he would stay at home and write instead of touring with the band. Despite his increasing problems with mental illness and use of LSD, he went on to create one of the greatest albums of all time, Pet Sounds. His next ambition was to top Pet Sounds with an album he called Smile. But, Wilson couldn’t complete Smile, and his depression led him into seclusion. With the deaths of his two brothers, Dennis Wilson (who drowned in 1983) and Carl Wilson (who died of lung cancer in 1998), he was on the edge of another breakdown. But, having found a new band and by marrying Melinda Ledbetter in 1995, Wilson came back, even releasing Smile, making it one of his greatest chart successes ever. The couple adopted two girls, Daria Rose and Delanie Rae and a boy, Dash Tristan. Wilson has two daughters, Carnie and Wendy, from his first marriage to Marilyn Rovell that ended in divorce in 1979. The talented songwriter/singer’s new project is entitled Brian Wilson Reimagines Gershwin and the 14-track album was released in the United States and Canada on August 17. Two songs, “The Like in I Love You” and “Nothing But Love” were unfinished pieces and Wilson completed the pair with band mate Scott Bennett. Melissa Parker (Smashing Interviews Magazine): Brian, it’s a pleasure to speak with you. Brian Wilson: Thank you very much. How do you like the new album? Melissa Parker (Smashing Interviews Magazine): I think it’s great, very entertaining. Brian Wilson: Yes, the Gershwin songs are wonderful. Melissa Parker (Smashing Interviews Magazine): Have you always been a fan of the Gershwins and wanted to do their songs? Brian Wilson: Well, yeah, and the Disney people came to us with the idea of doing “Wilson sings Gershwin.” That’s how it started. Melissa Parker (Smashing Interviews Magazine): That must’ve been exciting when you were offered some unfinished Gershwin songs. Brian Wilson: Right. They gave us 104 songs that were unfinished and we rounded it down to just two little songs. What we did was, we wrote songs that were influenced … we didn’t really write them exactly how they were written, but they spawned an original conception. Melissa Parker (Smashing Interviews Magazine): Was it hard for you to add your own touch to the songs while at the same time remaining true to the original music? Brian Wilson: No. Each song is different, right? Like … Summertime and the living ain’t easy (sings). Each song was expressed the way I thought it should be expressed. Brian Wilson: Right. I just felt like that was the way to do it. Melissa Parker (Smashing Interviews Magazine): Do you think there has been a renewed interest in these standards within the past few years? Brian Wilson: Well, I’m hoping that the young people will like it because they’ve never heard of Gershwin. I feel like we’re bringing Gershwin to the young people and we’re presenting him in a way that they can really appreciate it. Isn’t that great? Melissa Parker (Smashing Interviews Magazine): Yes it is. Michael Feinstein is trying to preserve The Great American Songbook. Brian Wilson: He’s a piano player, isn’t he? Melissa Parker (Smashing Interviews Magazine): Yes, and he worked with Ira Gershwin for a few years. Brian, didn’t you touch on Gershwin’s music style some when you were working on Smile? Brian Wilson: A little bit. Now and then you hear a little riff on something – ba … ba ba ba ba ba … ba ba ba ba ba ba (sings) from “Heroes and Villains.” That’s Gershwin right there. 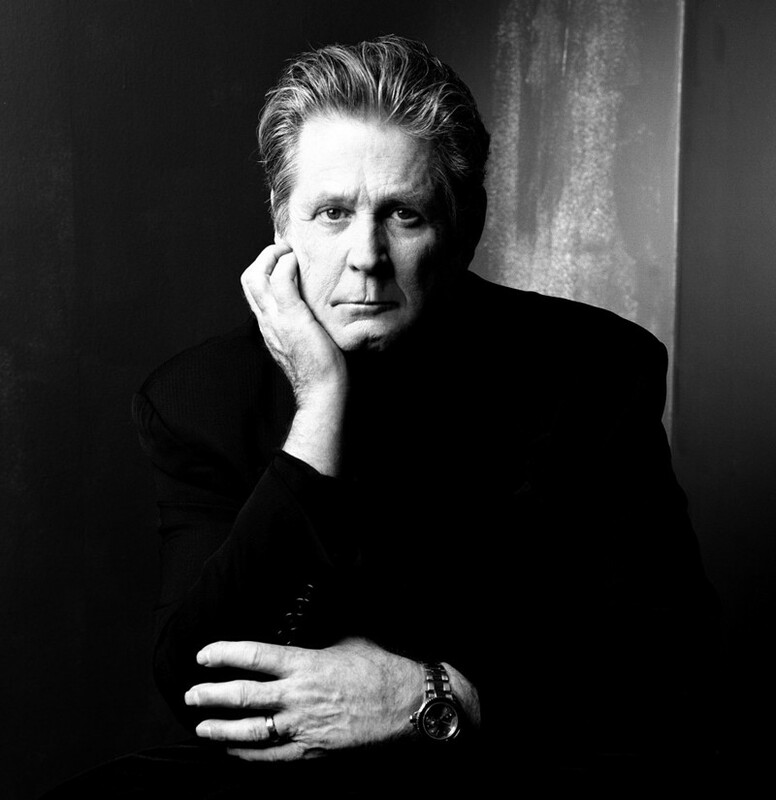 Brian Wilson: Not really, just part of the arrangement, but the song itself was not. The arrangement had Gershwin in it. Melissa Parker (Smashing Interviews Magazine): This is a two-album deal with Disney and the second one will be comprised of Disney songs. Melissa Parker (Smashing Interviews Magazine): Will you be choosing the songs? Brian Wilson: We don’t know. We haven’t gotten to that point yet. Melissa Parker (Smashing Interviews Magazine): What about tentative dates? Brian Wilson: Don’t know yet. We haven’t set the target date. Melissa Parker (Smashing Interviews Magazine): You recorded onto 4-track and 8-track tapes in the 60s. Are things easier now in the age of digital media? Brian Wilson: It makes it easier to record because you can concentrate on the bass; get the right sound on the bass, the drums, and all of the instruments. You can load tracks easier on the 24-track, 48-track, and 72-track. Melissa Parker (Smashing Interviews Magazine): How does someone that young handle so much success? Brian Wilson: I don’t know. It beats me … I don’t know. Melissa Parker (Smashing Interviews Magazine): What advice would you give young songwriters and musicians today just starting out in the business? Brian Wilson: I would tell them if you’re going to write a song, follow though and write the whole song. Don’t quit halfway through the song. Melissa Parker (Smashing Interviews Magazine): How did the idea for the surfing songs come about in the beginning? Brian Wilson: Well, some of them came from me, my brother Dennis and my cousin Michael. Melissa Parker (Smashing Interviews Magazine): Who decided on the name Beach Boys? Brian Wilson: Some guy at the record company (Candix Records) came up with that name. We called ourselves the Pendletones and when they pressed up “Surfin,” they called us The Beach Boys. That’s how we got our name. Melissa Parker (Smashing Interviews Magazine): One of my favorite Beach Boy tunes is “In My Room.” What was the inspiration for that song? Brian Wilson: My room was like the sanctuary where my brothers and me could sing harmony together. Then later on we sang “In My Room” similar to the harmonies that we sang when we were little boys before The Beach Boys was formed. Melissa Parker (Smashing Interviews Magazine): Was there competition between The Beach Boys and The Beatles in the 1960s? Brian Wilson: I don’t think it was a competition. I think it was mutual admiration. Melissa Parker (Smashing Interviews Magazine): Are you a friend of Sir Paul McCartney’s? Brian Wilson: Yeah, I know him. I haven’t really talked much with him, but I know him. Melissa Parker (Smashing Interviews Magazine): Do you still suffer from stage fright, Brian? Brian Wilson: I haven’t gotten over it yet. Melissa Parker (Smashing Interviews Magazine): How’s Carnie? Brian Wilson: I haven’t spoken to her in a few months, but I assume she’s okay. She has a television show. Melissa Parker (Smashing Interviews Magazine): Brian, if you had to list your three favorite songs of all time, what would they be? Melissa Parker (Smashing Interviews Magazine): Favorite singer? Brian Wilson: Danny Hutton of Three Dog Night. Melissa Parker (Smashing Interviews Magazine): I have to ask the million-dollar question. Will The Beach Boys be getting back together for a reunion in 2011? Brian Wilson: Maybe not. I don’t think there’s going to be a reunion, no. That would be quite interesting, but we can’t … we’re not going to do it. Pretty good interview, Brian is a tough one, but you managed to touch on alot of topics, including some that few people ask about. I especially liked how you linked this Gershwin album to SMiLE by asking about Heroes & Villains. I didn’t know that little passage in there was inspired by Gershwin. I listened to this Gershwin album for the first time tonight, and I think it suits Brian’s voice really well, probably better even than his more recent pop albums. Maybe he should switch over to standards like Rod Stewart and other rockers have done. hey i rly love the beach boys and so does my family even though im only 11 and 12 in december, plz help me on my homework what instruments are used in i get around?